There were a few balls rolling around loose in my garage that were driving me nuts. My boys are only 1 and 3 years old, so I know these balls are going to multiply like rabbits as the years go by. 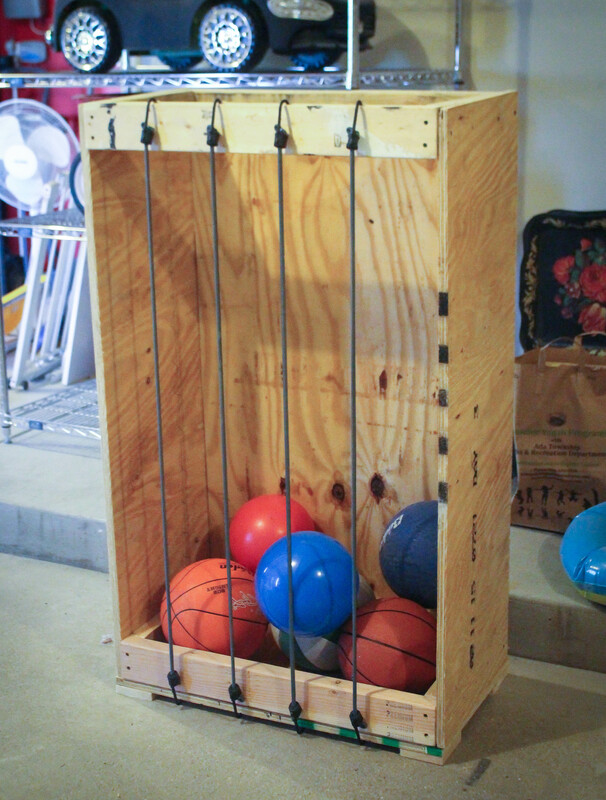 I decided it was necessary to build this bungee cord ball storage contraption. It was really easy and because I had scrap everything lying around from other projects, the only thing I had to buy was the bungee cords! 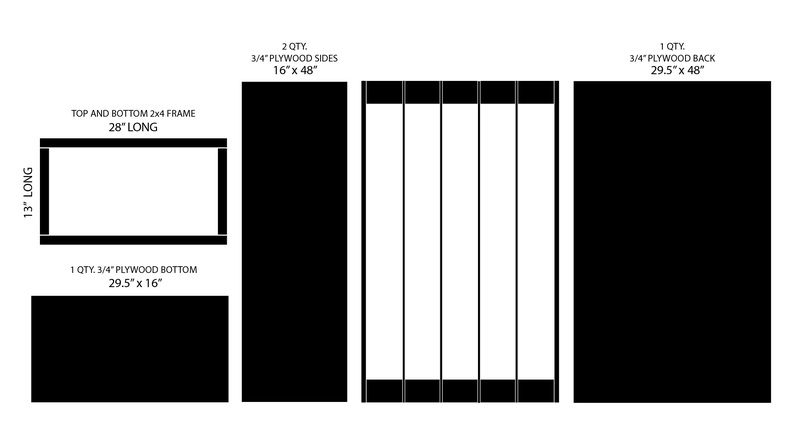 These were the approximate dimensions I used. I had to make several adjustments along the way. 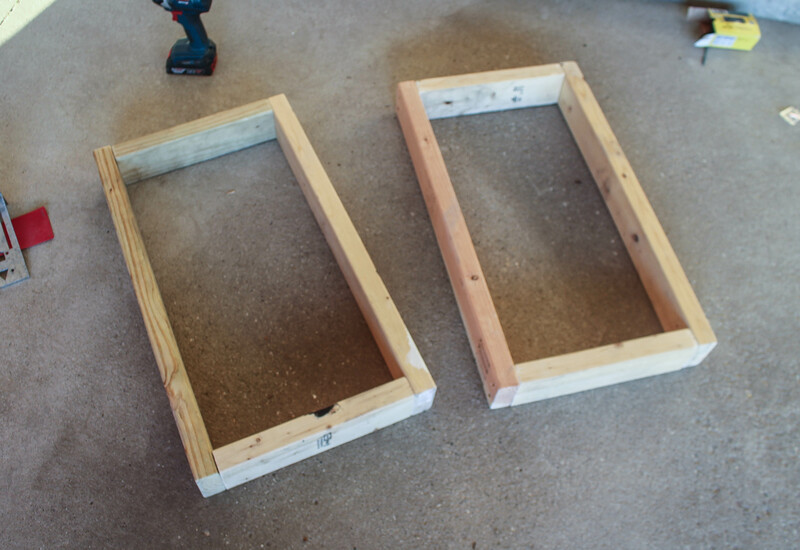 First I built the top and bottom frame out of 2×4’s. 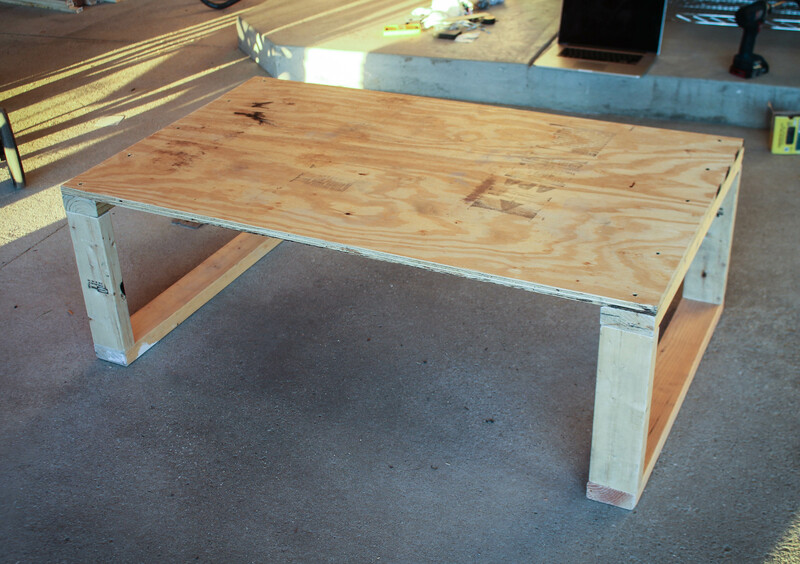 Then I screwed ¾” plywood to the back, sides and bottom. I also had to add 4 scrap squares of wood as feet to the bottom so there was room for the hooks. I drilled holes in the top and bottom for the bungee cord hooks and I was done! Oh wait…crap. I made it WAY too big. I mean…it seriously looks like a joke. After some brainstorming I cut and added a shelf. Perfect! 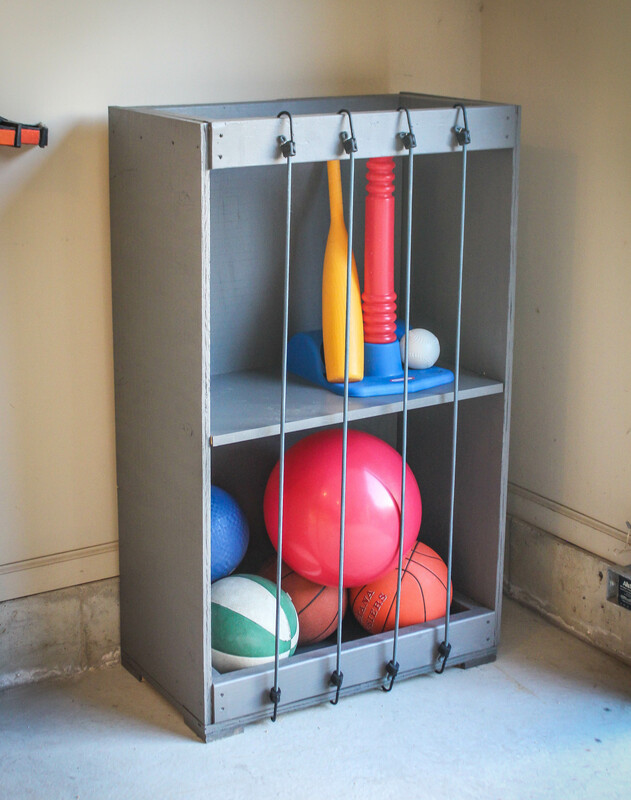 With some paint, now it’s done 🙂 I think down the road I might attach a couple bins to the side to hold the small things like baseballs, tennis balls, etc. This looks great. Can you please share the dimensions?